Load Ranger wheel weigh pads are vehicle weighing scales ideal for mobile and temporary applications. Load Ranger wireless wheel pads offer an adaptable solution for vehicle weighing. With unmatched accuracy, Load Ranger wireless wheel pads capture wheel or axle weights, either individually or in sets of up to 14 pads. 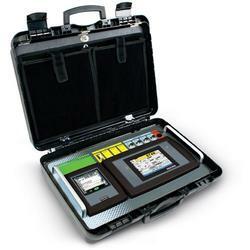 The built-in weight indicator is equipped with industrial Bluetooth® and 2.4 GHz wireless communication. For easy, onsite positioning, these wheel weigh pads have integrated wheels and handles for ease of use in restricted spaces. Load Ranger can be completely wireless with six individual weigh pads with integrated weight displays and an optional remote weight indicator, or systems can include up to 14 weigh pads joined via cable with wireless capability to an optional remote indicator. 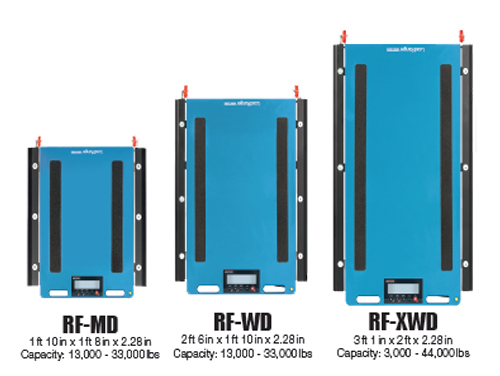 Load Ranger is adaptable for many applications and provides quick axle and weight readouts. Remote Touchscreen Indicator and Printer To simplify operation, Load Ranger wheel weigh pads can be paired with an optional touchscreen digital weight indicator and thermal printer fitted in an ABS plastic transport case. This all-in-one solution allows remote weight summing from integrated wheel pad sets and ticket printing. 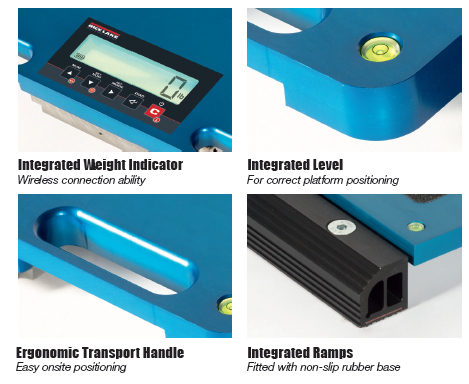 Monitor load safety and weight compliance with wheel weighing pads. Load Ranger wireless wheel pads offer an adaptable, high accuracy solution for vehicle weighing. With unmatched performance, Load Ranger wireless wheel pads capture wheel or axle weights, either individually or in sets of up to 14 pads. The built-in weight indicator is equipped with 2.4 Ghz industrial Bluetooth® wireless mesh communications. For easy, onsite positioning, these wheel weigh pads have integrated wheels and handles for ease of use in restricted spaces. 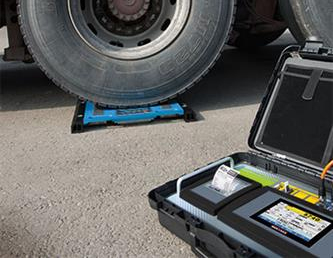 To simplify operation, Load Ranger wheel weigh pads can be paired with a touchscreen digital weight indicator and thermal printer fitted in an ABS plastic transport case. This all-in-one solution allows remote weight summing from integrated wheel pad sets and ticket printing.